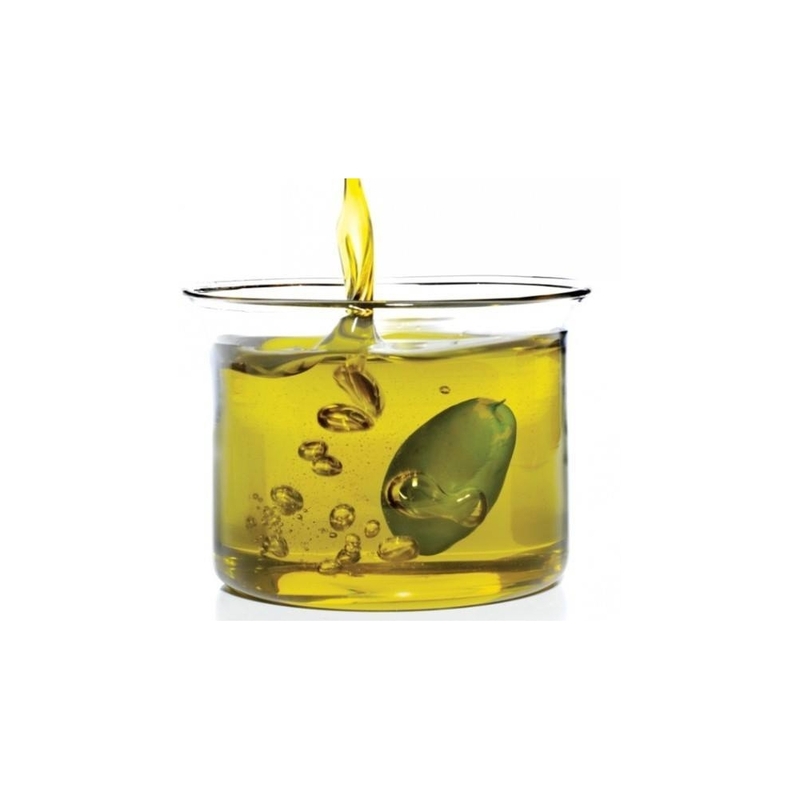 Preparation: Olive oil senior obtained directly from superior olives and solely by mechanical means. 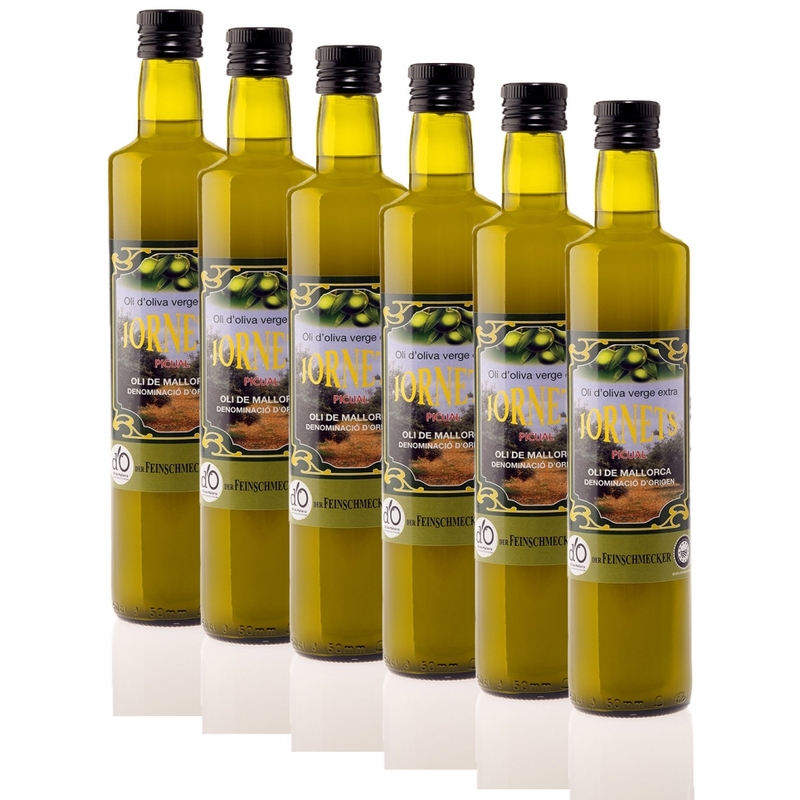 6 units 50 cl bottle extra virgin olive oil. 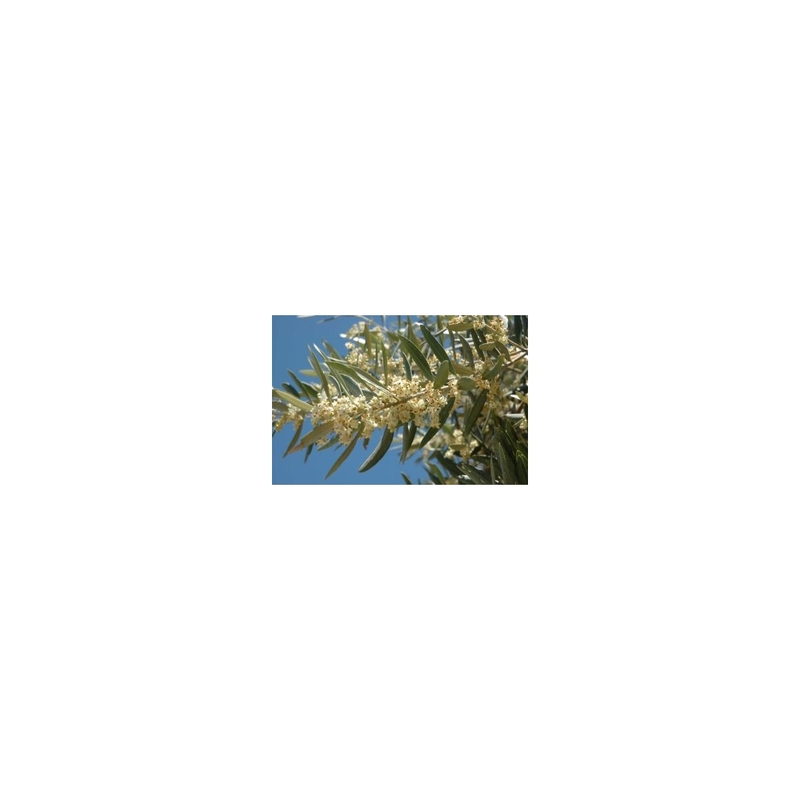 We produce, bottle and sell only extra virgin olive oil from our 100% picual variety olive trees, with a limited production. We have been doing this, on our farm Jornets at the town of Sencelles located in the heart of Mallorca, for 15 years. With the PDO Protected Designation of Origin Oli de Mallorca and following the strict compliance of its rules, we get real olive juice, collected manually and ground in a day at most. We apply cold extraction, retaining all its natural properties (antioxidants, vitamins A, D, E and K, omega3, 6, etc). The sensory tasting by an official panel gives us intense fruit oil, green, balanced, bitter, spicy and médium sweet. “With an acidity of only 0,1º over the past 5 years, we present a high quality product, produced for feed senses and returning to the pleasure for the authentic and natural thing. 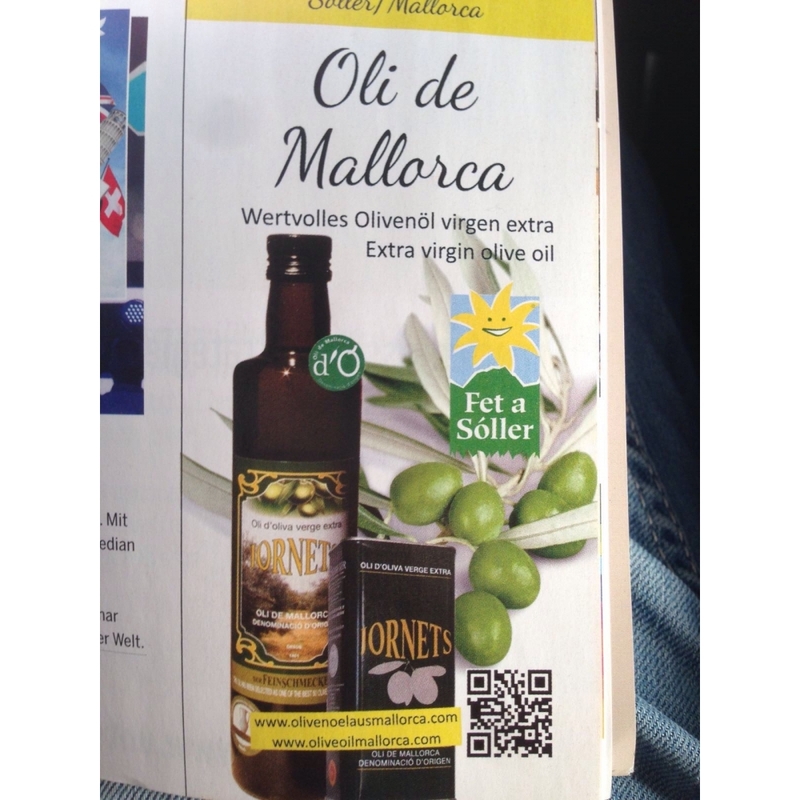 In 2012, the prestigious German gourmet magazine “Der Feinschmecker” and “Mastri Oleari” selected our oil Jornets as one of the 50 best oils in the world. 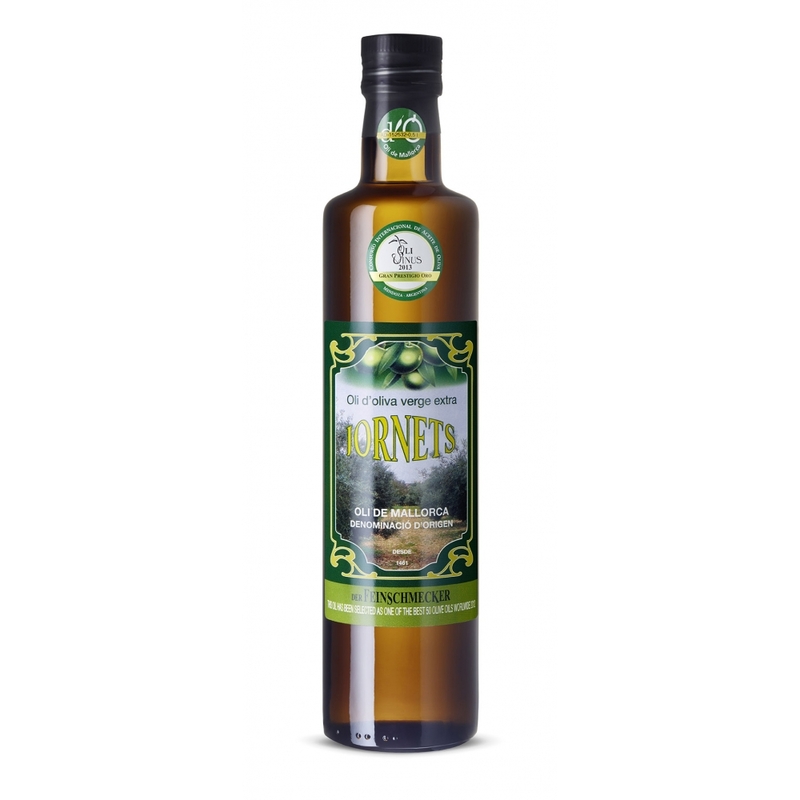 Already in 2010 they placed it among the 250 best oils. 2011 silver medal in the Paris AVPA competition. 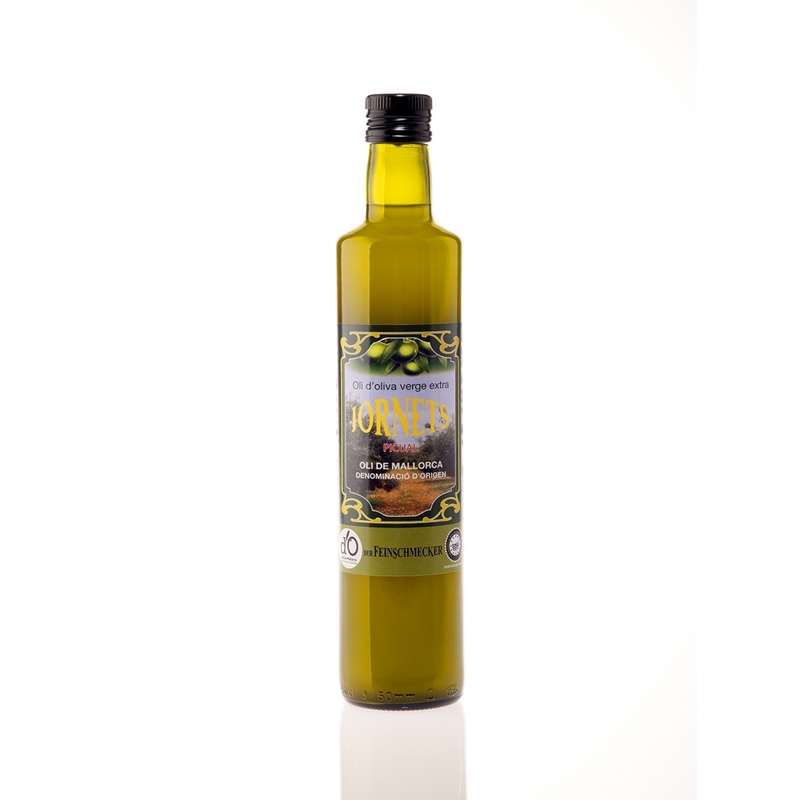 2012,2013 and 2014 gold medal in the competition “Terraolivo Mediterranean of Jerusalem”, Israel. 2012,2013 and 2014 Olivinus gold medal, Mendoza, Argentina. Silver medal, Valladolid, Spain Cinve Competition 2012.